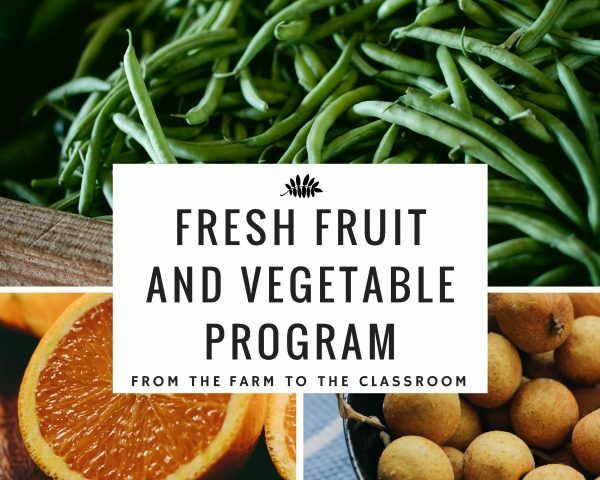 The Fresh Fruit and Vegetable Program allows students to try different types of fresh produce during the school day. Three times per week, students will be sent a sample of a fruit or vegetable to try in their classrooms. Through this program, children are increasing their consumption of fruits and vegetables, expanding the variety of foods they eat, and positively impacting their health! We are a proud sponsor of the Fresh Fruit and Vegetable Program and all it does to improve the wellness of children.